A display of photos at #Toronto Brookfield Place showcases the human toll of people affected by prostate cancer - which is the most common male cancer. 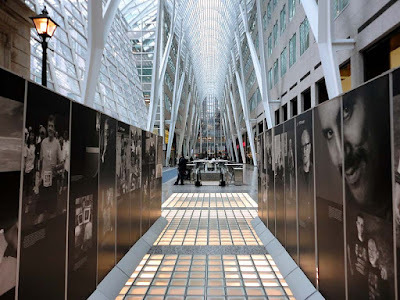 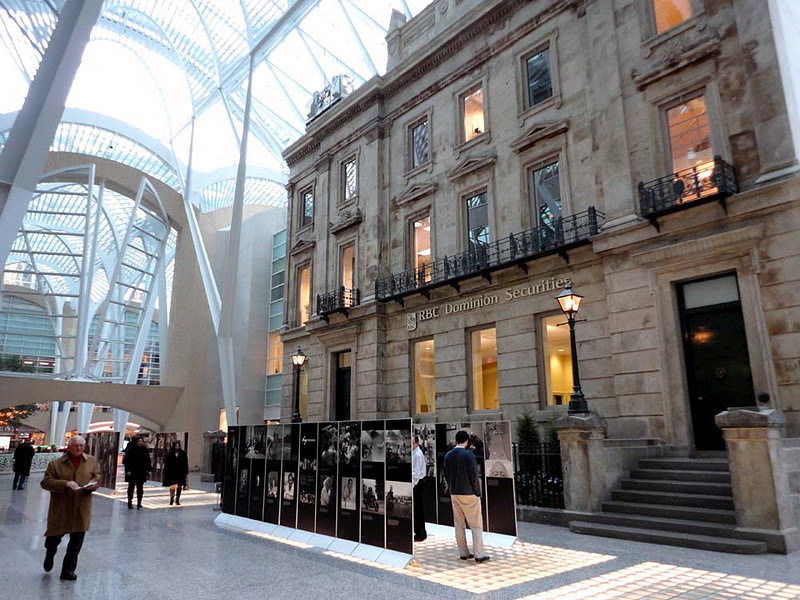 The images and stories comprising PhotoSensitive's TIEd Together exhibit will stay in the great hall from Jan 10 to 21, 2012 on it's multi-city tour in partnership with Prostate Cancer Canada. 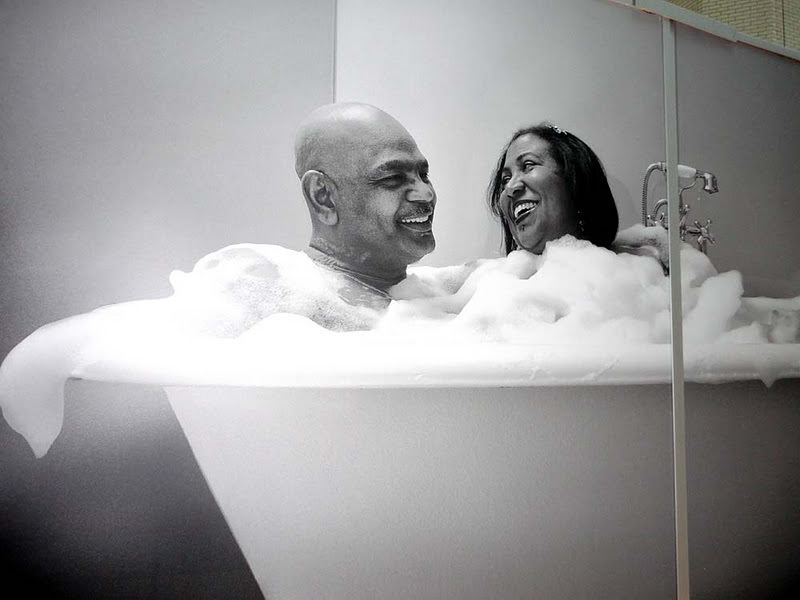 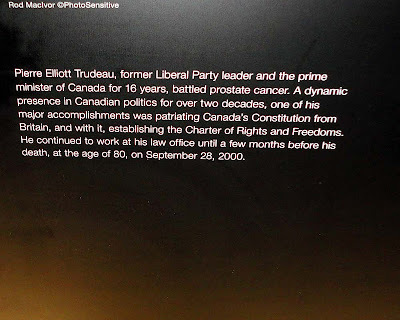 "The exhibition is a Canadian-first community awareness initiative exposing the devastating physical, emotional and mental impact of living with prostate cancer. 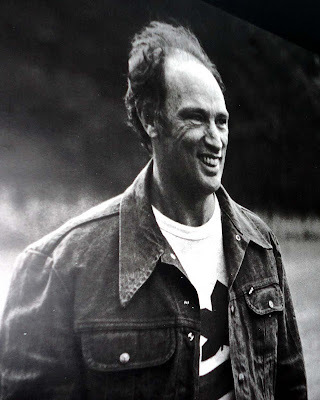 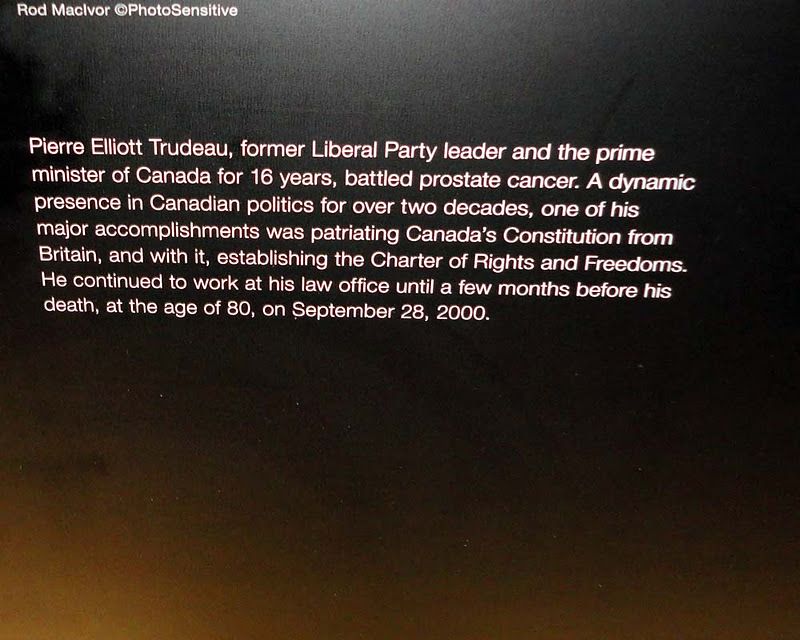 It includes portraits of real people with real stories including notables such as Jack Layton, Pierre Trudeau, Alex Baumann, Brett Wilson and Preston Manning. 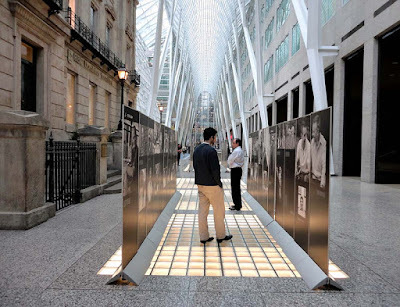 In addition, the exhibition also has a touch screen unit displaying 10 personal video interviews with prostate cancer survivors and their loved ones from across Canada." See images of the display after the jump.